Aug. 3, 2015 -- Lance Floto ’17 studied abroad in Budapest, Hungary this spring for two reasons: to experience a different culture and, at the same time, to be able to take classes that could count toward completing his major. He accomplished all that at the Aquincum Institute of Technology (AIT) – and more. 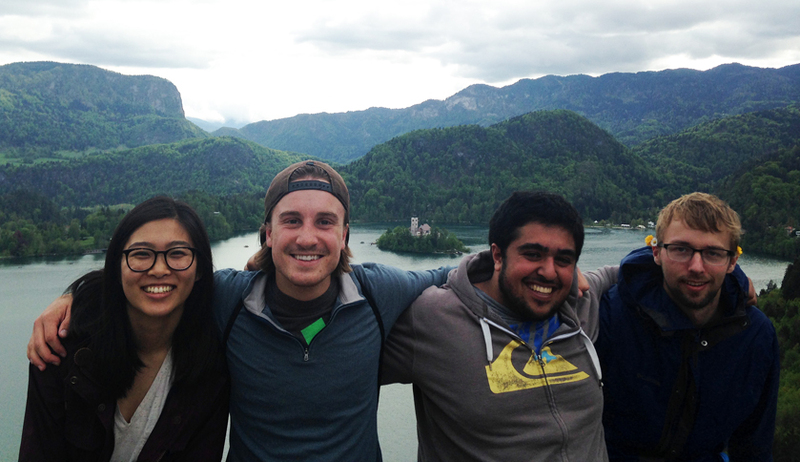 Through AIT, Floto learned about a Budapest startup called opp.io and a summer internship it was offering. Guess who’s spending the summer in Budapest as well? AIT, which became an official UR study abroad site last fall, is devoted entirely to computer sciences and software engineering– and is designed specifically for North American students. Instruction is in English and the class size is an intimate 5 to 15 students. Four of the five classes he took will transfer back to the University of Rochester, which was “one of the best things about the program and will make graduating in 4 years much easier,” Floto noted. Because of Budapest’s central location, he also was able to visit 18 different countries. 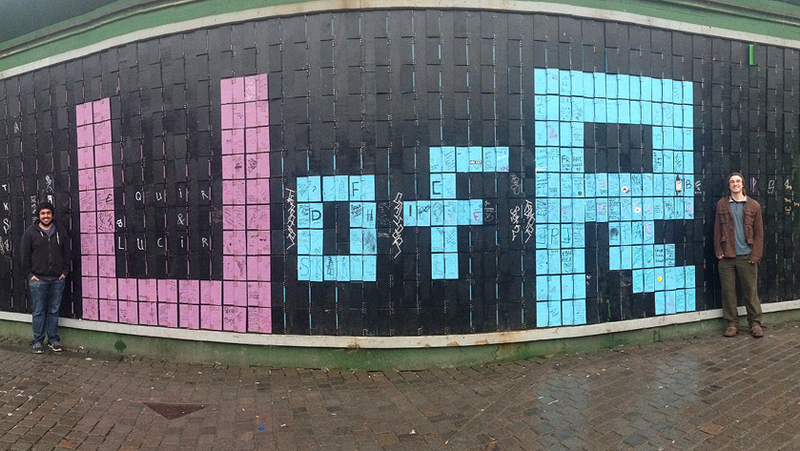 Floto (at right) with fellow YellowJacket Kevin Gerami at the Happy Wall in Copenhagen. The interactive pixel structure allows visitors to manipulate tiles to create words and pictures. Built from the remnants of Tuborg’s cinema tribune, it sits in a large cobblestone square near Copenhagen's famous Nyhavn docks. To learn more about the AIT program, contact Marty Guenther, the undergraduate coordinator for the Department of Computer Science. To learn more about this and other study abroad opportunities for Hajim School students, contact Rohan Palma, the school’s study abroad adviser.